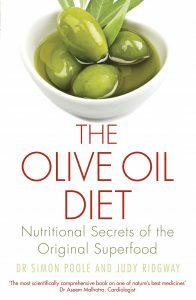 Here is another post in my new series looking at extra virgin olive oils taken at random from the market. 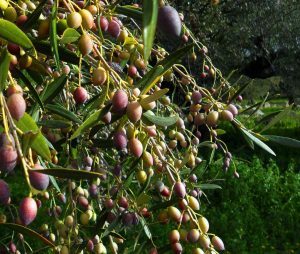 I am very lucky to have samples of evoo sent to me from time to time direct from the producers and of course these oils are likely to be the very best they produce. So I thought I would have a regular look at what is actually on retail sale in the shops and on dedicated websites. This month I bought two supermarket oils, one own label and one branded, and one from Selfridges in London. 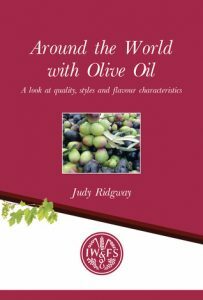 Two are blends of oils sourced on the international olive oil market and the other comes from Puglia in Italy. They vary in price from £2.99 to £19.98 for a half litre. None of them were particularly good, though the most expensive was probably the better oil. I personally would not buy any of them. This oil has quite a pleasant aroma of tropical fruits, melon and pineapple with a touch of lemon. However, the flavour in the mouth is not at all what you might exect from the aromas. It is a touch sickly and very bitter. This oil has a not unpleasant lightly stalky and woody aroma with some nuts. In the mouth the flavours are light to start with and then some pepper comes in and some flavours which I find hard to describe. This comes from Puglia in the heel of Italy. This oil has a surprisingly light aroma though there is some spicy greenery, nuts and touch of citrus skins. The flavours in the mouth are stronger with mixed leaves, stalks and nuts followed by really strong pepper which comes in before some bitter almond tones. This is a very robust oil which is only just balanced. I do not personally think that it is worth the money. However, if you enjoy a peppery oil this is the one for you.